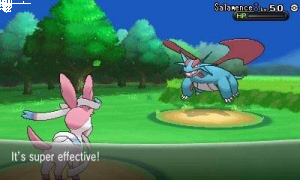 When the 7th Generation of Pokemon finally came through the releases of Pokemon Sun and Moon, many Pokemon Fans believed that Remakes for the 4th Generation Games of Pokemon Diamond, Pearl and Platinum would quickly follow. These hopeful players believed it was finally time for the 4th Generation to shine once again, and they thought there was a number of clues pointing in this direction: the first was the return of Looker in the Post Game of Pokemon Sun and Moon, who was first created specifically for Pokemon Platinum; the second was the fact that the Alola Region is actually based upon the real-life location of Hawaii, where Diamond Head Mountain exists and where Pearl Harbor took place (Diamond + Pearl); the third and final reason had to do with how Munchlax was the first Event Pokemon for Pokemon Sun and Moon, the same that was released in the 4th Generation. But even with all these so-called hints, low and behold, the Pokemon Company decided to go with 7th Generation Sequels instead of 4th Generation Remakes. So why did the Pokemon Company decide to skip over 4th Generation Remakes in favor of 7th Generation Sequels? 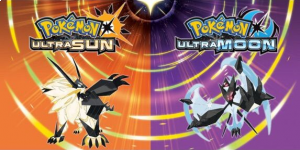 The question has been on the minds of all Pokemon Players since the reveal of Pokemon Ultra Sun and Ultra Moon, and it’s this exact same wonder why we have decided to create this article and examine the ten possible reasons why we believe the Pokemon Company has decided to take the path they have. Now none of these have been confirmed by the Pokemon Company themselves - they never have explained why they have made the decisions they have, and they won’t be changing this mindset when it comes to this - but we can say with certainty that it had to do with one of these reason or a combination of a number of them. If at any time you’d like to express your thoughts on why you personally believe the Pokemon Company decided to go with 7th Generation Sequels instead of 4th Generation Remakes, you can do so at any given time in the Comments Sections below each and every page apart of this article. You can even tell us your opinion on our thoughts in this same area! Whether you think we nailed one of our reasonings or we completely missed the mark with one, or if you’d simply like to voice your theory behind the Pokemon Company going in this direction, we love to hear your thoughts either way! So without further delay, here are the ten reasons why we believe the Pokemon Company went with 7th Generation Sequels over 4th Generation Remakes! 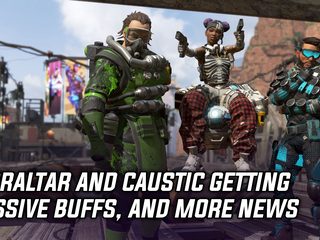 We truly hope you enjoy! To most players, the common belief is the Pokemon Company decided to go with 7th Generation Sequels instead of 4th Generation Remakes to make up for the fact that the 6th Generation Games of X/Y never had a sequel to them (presumably Pokemon Z). And the truth is, this could honestly be the biggest reason why the Pokemon Company decided to go in this direction. Though many players were ecstatic for the next Chapter of Pokemon to begin with the 7th Generation, there were more than a handful of fans that had their hearts set on one last go in the Kalos Region. And the fact that the Pokemon Company had already leaked images of Zygarde Complete and 10% Zygarde only made it sting all the more for these given players! There was a bit of a verbal backlash with this decision, so it wouldn’t come as a shock if the Pokemon Company were influenced enough from their choice in the 6th Generation to not do the same with the 7th Generation. Sure, a number of older players that played the 4th Generation Players would be upset with the bypassing of Remakes at this time, but it’s a small price to pay for the next chapter of Alola to commence. And let’s not forget, most players believe the 4th Generation will receive their Remakes at some point, so the Pokemon Company might've figured to put it off just a little while longer in order to finish off the Alola Region first. Is there a possibility that the Pokemon Company decided to go with 7th Generation Sequels because their designers created Pokemon that they felt like were more made for the Alola Region instead of any other? It’s a bit of a stretch, but there’s always the chance that this was case. 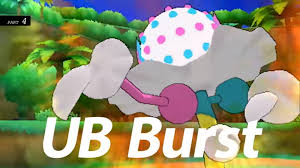 We’ve already seen three new Pokemon come to life in the form of UB Adhesive, UB Assembly, and UB Burst, and there could be more on their way in Pokemon Ultra Sun & Ultra Moon. Perhaps these guys were created and GameFreak felt to just go with 7th Generation Sequels because they had the Alola Feel? Or perhaps these guys were the extras from the original plan of Pokemon Sun and Moon, and because they had these extra Pokemon, GameFreak decided to just make 7th Generation Sequels and throw them in. Do we honestly think that this is why the Pokemon Company went with 7th Generation Sequels over 4th Generation Remakes? No, not really. Truthfully, these New 7th Generation Pokemon were most likely created after the Pokemon Company had the idea to make Sequels instead of Remakes, hoping to make Ultra Sun & Ultra Moon unlike any other Pokemon Sequel Game to date. But you just never know with these types of things, so there’s always the remote chance the New Pokemon were actually the reason why GameFreak decided to go in this direction. When the 7th Generation Sequels were first told of, it gave some players the indication that the Pokemon Company were already in the works of moving forward past the 7th Generation and onto the 8th Generation of Pokemon. You wouldn’t release the news of Sequels without already having said games in production, so it’s extremely plausible that the 8th Generation is already being created by GameFreak. This means that not only 7th Generation Sequels were picked over 4th Generation Remakes, but also the 8th Generation of Pokemon as well. We hate to say it, but this could honestly be the case. And though, yes, yet another Generation of Pokemon will get most players excited, there will still be a few longing for 4th Generation Remakes. 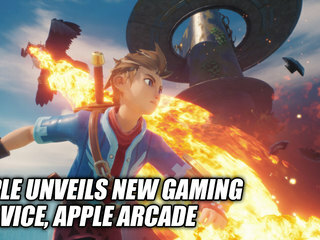 We don’t think there will be as big as a backlash as when the Pokemon Company chose the 7th Generation over the foretold Pokemon Z, but we’re sure there will be a number of unhappy customers that will make their feelings known to the world. The Pokemon Company chose to go with the 7th Generation over a 6th Generation Sequel, and there’s a good chance they skipped over the 4th generation Remakes because they actually have the 8th Generation in their minds. 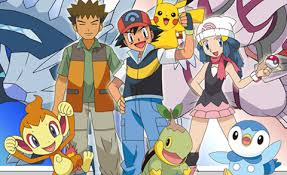 A good indicator for a Generation of Pokemon coming to its end has always been the Anime Series. Before the 7th Generation of Pokemon were first told of, many players had a feeling the upcoming news of such would be exactly what it was because the X/Y Anime Series was already ending. Magearna was included in the final movie of the 6th Generation, and the details for the final episodes where Ash, Serena, and Clemont went their separate ways had already been leaked. 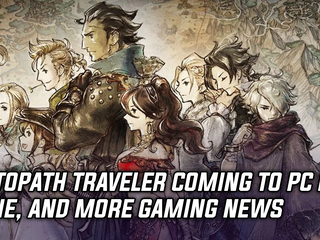 Most fans were blindsided by the news of 7th Generation Coming during its Nintendo Direct reveal, but if they had first seen where the Anime Series was at, they wouldn’t have been surprised at all. So if the Alola Region Anime Series is definitely on its back half, it’s clear why they decided to go with 7th Generation Sequels over 4th Generation Remakes. For one, the Anime Series will showcase plot details that will be found in Pokemon Ultra Sun and Ultra Moon. This was done in the Series’ past, and the same would obviously happen this time around. 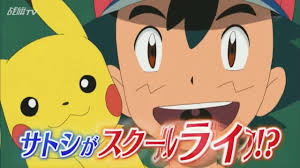 Secondly, the end of the Alola Anime Series will prove that 7th Generation is coming to its end and that another Generation is on the horizon, thus why the Pokemon Company decided to released the second chapter of the Alola Region Games. The Anime Series might’ve came second way back when, but it’s usually the first indicator on what’s happening with the Mainstream Pokemon Games. 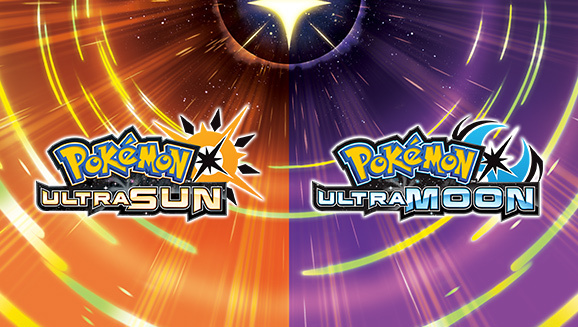 The Pokemon Company have recently shared that Pokemon Ultra Sun and Ultra Moon would be the final Mainstream Pokemon Games made for the Nintendo 3DS. We’ve known for a while now that the Pokemon Company had plans of releasing Original Pokemon Titles to the Nintendo Switch beginning in 2018, but it’s still unknown if said titles will be the next Mainstream Pokemon Games or if Nintendo will be releasing the next set of Handheld Consoles. No matter what happens, this recent confirmation makes the reasoning why the Pokemon Company had decided to go with 7th Generation Sequels to 4th Generation Remakes a little more easier to understand. 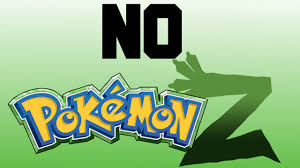 It’s clear that both the Pokemon Company and Nintendo would like to move in a direction away from the Nintendo 3DS, so why would the Pokemon Company prolong this change by first releasing 4th Generation Remakes and then 7th Generation Sequels roughly a year after. It wouldn’t, and still doesn’t, make any sense if they had done such a thing. It was clear that no matter if the 7th Generation Sequels of 4th Generation Remakes were chosen, they would indeed be the final Mainstream Pokemon Games released on the Nintendo 3DS, and thus the final Pokemon Games of the 7th Generation. It was either the Sequels or the Remakes, and the Pokemon Company thought Sequels were the better choice this time around. Another possible reason why the Pokemon Company decided to go with 7th Generation Sequels is because the creators believe it is simply too soon to make 4th Generation Remakes. 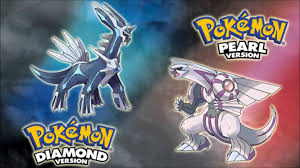 It has been just a decade since Pokemon Diamond and Pearl hit the market, and GameFreak might be thinking a few more years need to pass before attempting to make them. Perhaps the Pokemon Company might even have plans to include 4th Generation Remakes for the original Nintendo Switch Titles they have promised, or perhaps even the next Handheld Console (if such a thing were to be made) that Nintendo creates and releases. 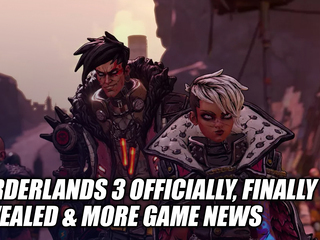 Remember, players had to wait quite a long time before they even received 3rd Generation Remakes. They eventually received them in the 6th Generation, but most players were hoping for them starting in the 5th Generation. The 1st Generation received their remakes just two generations later in the 1st Generation, so did the 2nd Generation during the 4th Generation, and based on that cycle, players were hoping every other Generation would see some Remakes come to life. Apparently that cycle has since changed, proving with Pokemon Omega Ruby and Alpha Sapphire. 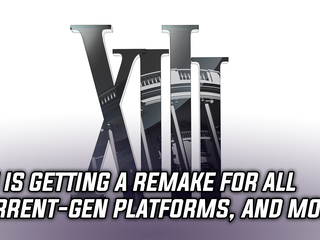 Perhaps each Generation will now receive its Remakes in the Generation that is doubled its number - like how the 3rd Generation Remakes came in the 6th Generation - which would put the 4th Generation Remakes on par with the 8th Generation. From the 3rd Generation through the 4th Generation, the Pokemon Company created a pattern of which five Mainstream Pokemon Game Titles were created in each. In the 3rd Generation, we received Pokemon Ruby, Sapphire, Emerald, FireRed and LeafGreen. When the 4th Generation came, we ended up receiving Pokemon Diamond, Pearl, Platinum, HeartGold and SoulSilver. 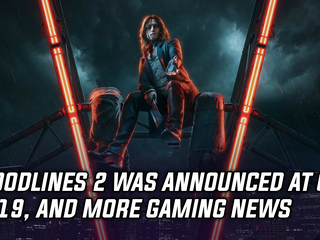 This made most fans believe that each Generation after would receive a total of five games: two original titles, one sequel to said titles, and then two remakes from previous Generations. However, since that time, the Pokemon Company has changed from a five-game pattern to that of a four-game pattern. 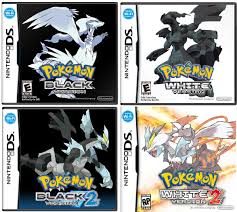 In the 5th Generation, we received Pokemon Black and White, as well as the sequels to these games in Pokemon Black 2 and White 2. In the 6th Generation, we received Pokemon X and Y - GameFreak skipping out on Pokemon Z, as we already mentioned - along with Pokemon Omega Ruby and Alpha Sapphire. And at this time, it appears the 7th Generation will also consist of only four games: Pokemon Sun, Moon, Ultra Sun, and Ultra Moon. If this reigns true, then this new pattern could be exactly why the 4th Generation Remakes were skipped in favor of 7th Generation Sequels; should the Pokemon Company be dead-set on only releasing four titles per generation, it’s clear the 4th Generation Remakes didn’t make the cut this time around. But what if the Pokemon Company didn’t choose to do 4th Generation Remakes not based on certain patterns and what they did recently with the 6th Generation? What if it had nothing to do with the ensuing 8th Generation, the ending of the Alola Anime Series, or the fact that they want to finally finish their run on the Nintendo 3DS? Could it be as great of a possibility as any other that the Pokemon Company decided to go with 7th Generation Sequels instead because they simply haven’t decided on the plot for such Remakes? Why yes, yes it could be. If the Pokemon Company still haven’t figured out the direction they would like to take with 4th Generation Remakes, then that would actually explain quite a bit. You can’t release a video game that you yourself haven’t plotted out exactly how you would like to see it, and this could be the hard place that the Pokemon Company is presently in. Some players hope that the Remakes of the 4th Generation will see Primal Forms return again, as Primal Dialga was technically the first Primal Form ever to be created (even if it wasn’t in the Mainstream Pokemon Games). There are even a few fans that hope Arceus will be the Cover Legend of such a Remake, since it was never obtainable back in Pokemon Diamond, Pearl and Platinum. With so many various paths they can take with 4th Generation Remakes, it’s completely possible that the Pokemon Company haven’t decided what to do with 4th Generation Remakes just yet. No matter if the Pokemon Company is planning to release Sequels, Remakes or a brand new Generation of Pokemon, they always love to get players excited by building-up as much anticipation as possible. 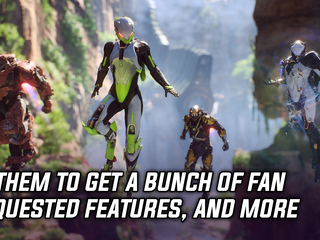 And they could be looking to do the same with 4th Generation Remakes, doing so by simply holding off releasing them to the world. 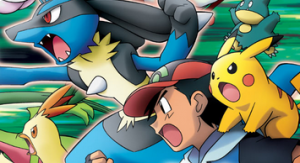 Pokemon Omega Ruby and Alpha Sapphire were two of the highest selling games for the Pokemon Company. 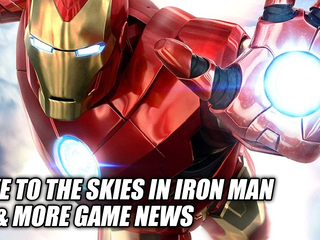 Some may say this was because the games were just that good, and that could be on part of it, but the fact that all players alike had to wait so long for said Remakes played a key role in things too. Fans had wanted 3rd Generation Remakes since the 5th Generation, so it’s no surprise they exploded in terms of sales once they finally hit the shelves in the 6th Generation. The Pokemon Company could be looking to do the same exact thing with 4th Generation Remakes, holding off an additional Generation or two in order to increase the hype and anticipation for them so they do better selling. It’s not like the Pokemon Company has to do this since there are so many fans particularly in the love with the 4th Generation, but when it comes to running a successful business, you have to try to maximize your efforts in hopes of maximizing profits. Players might go insane waiting for the 4th Generation Remakes to finally come, but the Pokemon Company knows it will all be worth it when the day finally comes. One of the last reasons that have been surfacing lately as to why the Pokemon Company has decided to go with 7th Generation Sequels instead of 4th Generation Remakes revolves around the fact that maybe, just maybe the 4th Generation Remakes are somehow connected to the 7th Generation or even the soon-to-come 8th Generation in some given way. If you can remember from just a short time ago, the 3rd Generation Remakes were created and released during the 6th Generation, the same Generation of Pokemon that introduced the idea of Mega Evolutions. Low and behold, when Pokemon Omega Ruby and Alpha Sapphire finally came, they too included the idea of Mega Evolutions for a number of new Pokemon. So perhaps, just maybe, the 4th Generation Remakes have something to do and are connected in some way to the 7th or 8th Generation of Pokemon. Since it’s more likely at this point that 4th Generation Remakes will eventually come during the 8th Generation, then this theory would most obviously see the Remakes connected in particular to the 8th Generation. The 7th Generation didn’t really bring anything more than Z-Moves to the World of Pokemon, which makes most experts believe that this theory is focused towards only the 8th Generation. Perhaps the Pokemon Company has something special up their sleeves for the 8th Generation that they will also include in the 4th Generation Remakes, something that was as groundbreaking as Mega Evolutions first appeared to be on the Franchise. We can hope. But until that time, we can only speculate on when that will be and why the Pokemon Company decided to go with 7th Generation Sequels instead. Here are the ten most likely reasons why we believe the Pokemon Company has decided to go in this direction, and we honestly think it has to be because of one of these things or a combination of many of them. Whatever the case turns out to be - if we ever find out such things - we truly appreciate you taking the time to read our thoughts. 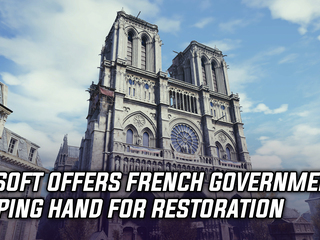 We are especially grateful to those who expressed their thoughts in the Comments Section below. If you haven’t done so already, you can still tell us your thoughts in that same area below. And while you’re still on our great website, don’t forget to explore a little through our various Forums and Pokemon Forums! Until next time, Pokemon Fans! NEXT >> Regigigas & Heatran Legendary Year Events Now Live! Comments for this 10 Reasons Why Pokemon Most Likely Chose 7th Gen Sequels Over 4th Gen Remakes.